A hearty meal is often desired when the temperatures dip. We often rely on a thick and hearty stew. 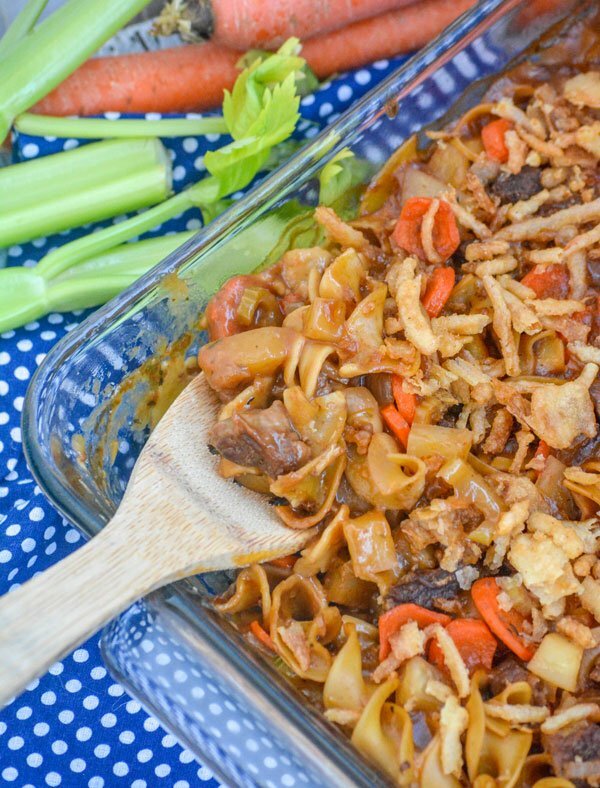 Get the best of everything with this quick & easy Beef Noodle Stew Casserole. Your whole dinner, in one dish, loaded with meat, veggies, and noodles all bake din a savory sauce & topped with crunchy onions.